Viknesh Vijayenthiran January 15, 2019 Comment Now! 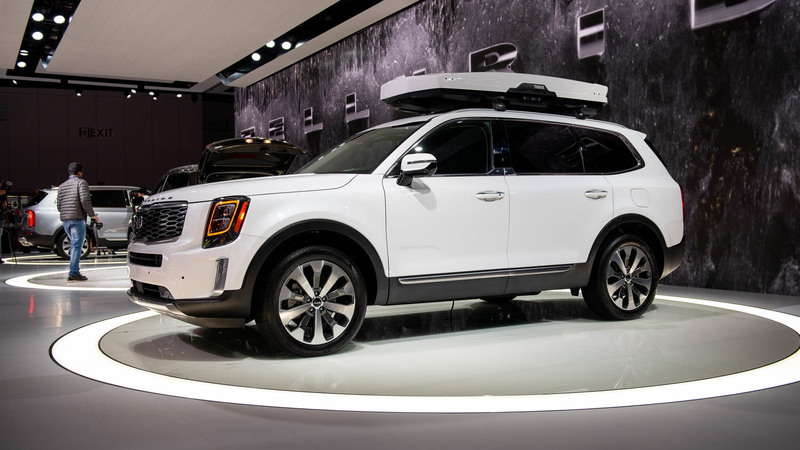 Families in the market in for a spacious 3-row, 8-seat crossover SUV from a mainstream brand have a new option in the form of the 2020 Kia Telluride. 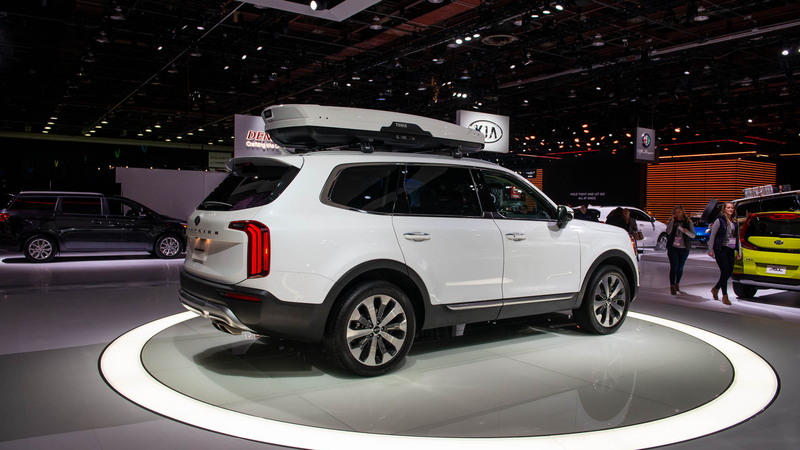 After treating us with a preview last fall, Kia has now given its Telluride a proper auto show debut, with the covers coming off on Monday at the 2019 North American International Auto Show in Detroit. The Telluride is the production version of Kia's well-received concept of the same name that was unveiled at 2016's Detroit auto show, and it's being built right now at Kia's plant in West Point, Georgia. 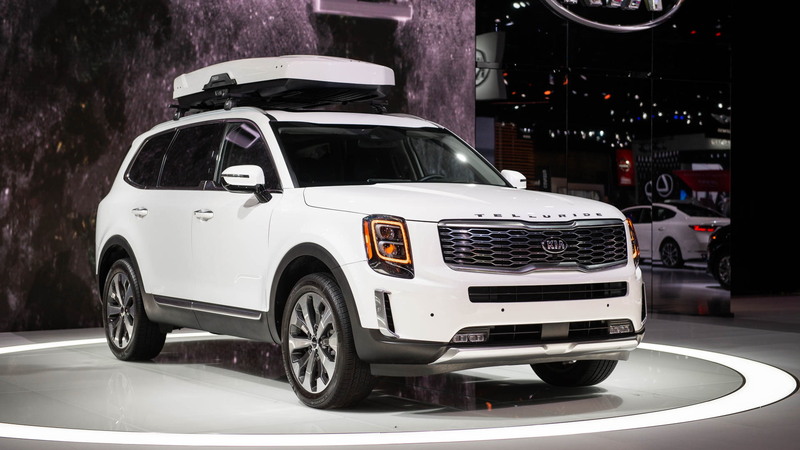 It's not only built locally but Kia also boasts that the Telluride is also its first model designed specifically for the United States, with the design work handled at the Kia Design Center in Irvine, California. 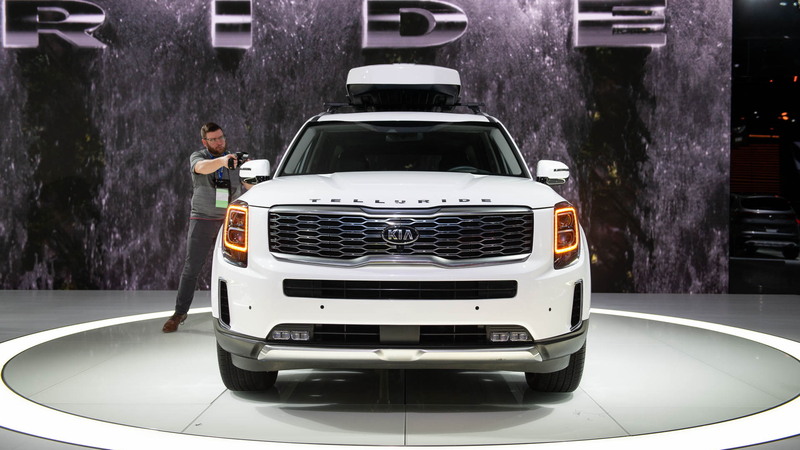 The Telluride is several inches longer and wider than Kia's mid-size Sorento, making it a proper full-size SUV, and there's a car-like unibody structure underneath, which should mean a compliant ride. For added comfort, buyers will be able to opt for self-leveling rear suspension, which is particularly useful when towing or carrying a heavy load. The standard tow rating is 5,000 pounds. Just one powertrain will be available at launch, a 3.8-liter V-6 mated to an 8-speed automatic and all-wheel drive. Peak output is 291 horsepower and 262 pound-feet of torque. A plug-in hybrid powertrain pairing a V-6 with an electric motor could be added at a later date. Such a powertrain, generating a combined 400 hp, was shown in the original Telluride concept. For 2020, the Telluride will be offered in LX, EX, S, and SX trim levels. A 3-seat bench is standard for the second row while captain's chairs can be added, though this drops the seat count from eight to seven. Numerous electronic driver aids are standard, as are Apple CarPlay and Android Auto smartphone integration. Premium touches can be added, such as Nappa leather trim, a 10-speaker Harman/Kardon audio system, and a larger, 10.25-inch screen for the infotainment system. 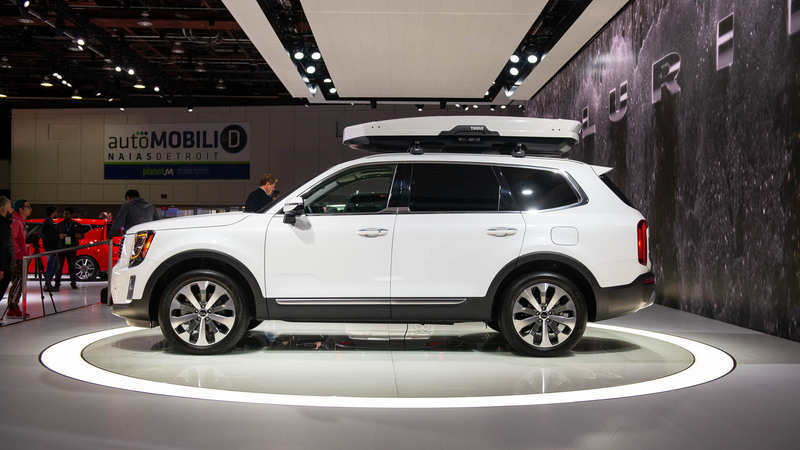 Pricing information for the 2020 Telluride lineup will be announced closer to the sales launch in the first half of 2019. Potential rivals include the Chevrolet Tahoe, Dodge Durango, Ford Expedition, Honda Pilot, Nissan Armada, Toyota Sequoia, and the related Palisade from Hyundai.